If you're currently residing in the UK it will be no news to you that we are in the midst of a winter wonderland. Snowfall has blanketed the UK and that means a few things, snowmen, cosy nights in and hot chocolate! I don't know about you guys but I adore the snow, it's a rare sight here in England to wake up and see what is usually a grey, dull environment in the winter be turned into a magical winter wonderland. 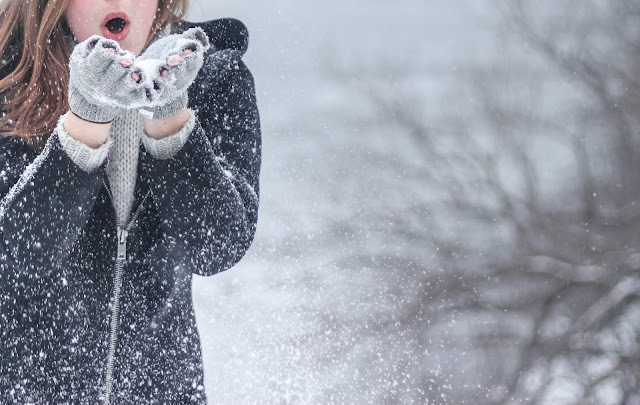 But if you're also like me, I don't do well in the cold...so here's a little list of how to enjoy the snow whether that's indoors or outdoors! Firstly, the obvious: MAKE A SNOWMAN. Now this kind of goes without saying if you're first thought isn't to make a snowman or snow angel when it snows then are you really human...? (I mean if you're an alien that's pretty dope too.) Last night I ventured out into the snow to create my own and although I was only out there for 20 minutes it was a magical 20 minutes to say the least. You don't need to be out in the snow all day to enjoy it, invite some friends/family out with you, have a snowman contest or even better, a snowball fight! But once you start to feel the chill hurry home for number 2 on our list. Pour yourself a HOT BREW. 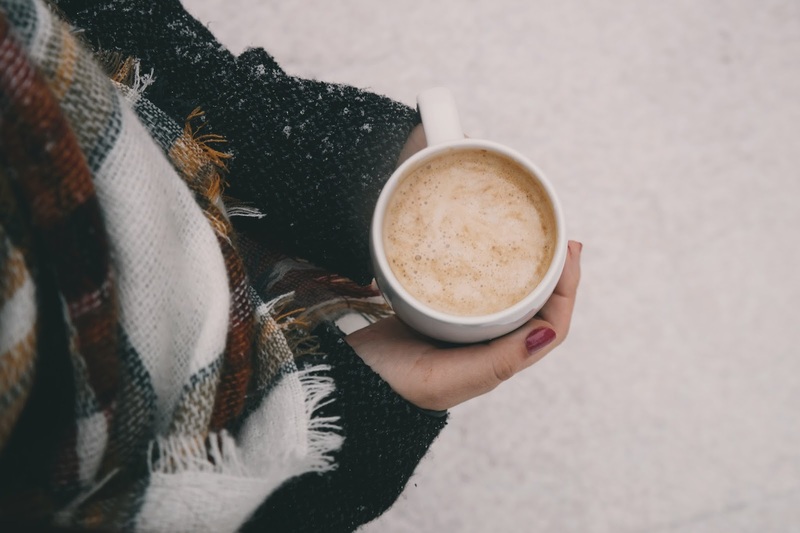 Whether you're a chocoholic, a toasty tea fan or a cosy coffee fanatic you simply cannot pass up the opportunity to make yourself and friends a lovely hot drink on these cold Winter nights. There's something very fulfilling and satisfying holding a hot mug of cocoa watching the snow fall out the window..
3. Grab your favourite cosy blanket and SNUGGLE UP. 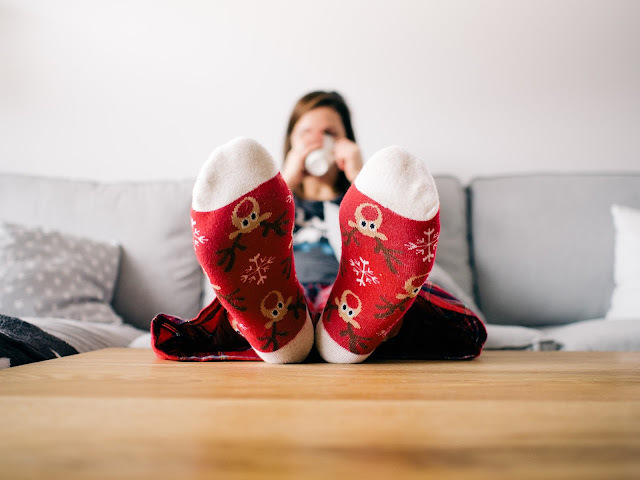 There's nothing I love more than crawling into bed or on the sofa with a cuddly blanket, my hot bevvy and watching a festive flick or my favourite TV shows! It's an instant mood lifter and I always find myself nodding off due to being as snug as a bug in a rug. 5. Finally, why not indulge in a little festive DIY. Christmas time is the perfect time of year to start getting crafty, unleash those creative juices and make some cute Crimbo cards for family and friends. Or stitch a stocking, draw a little doodle to gift to others or just for fun! Getting creative is a great way to pass the time if the snow is falling thick and fast outdoors and can inspire you to create something truly magical. So there you have it, 5 things to do on a snowy December day, I certainly know I'll be doing these throughout the Christmas period and let me know if you do too!